If serviceability is considered , Rafale is undoubtedly the best. Sukhoi 30 has only 55 percent serviceability, which means that if combat opens then at that time only 55 percent of the Sukhoi fleet will be available for combat while the rest will be down for maintenance issues. But virtually the entire Rafale fleet will be available for operations against the enemy if we go by the serviceability rate or French Air Force, which itself is a huge advantage . As far as ease of flying for the pilot is considered, again Rafale comes on top. French aircraft are extremely easy for the pilot to fly and hence the reason that Mirage-2000 are also extremely popular with Indian pilots . In electronic warfare , the Rafale is one of the best in the whole world. Its ‘spectra’ electronic warfare system is superb in jamming radars and infra-red detectors etc (all kinds of detection devices) that are fitted on-board enemy planes to detect it, and Rafale can become considerably invisible to other fighter planes. It completely outclasses Chinese aircraft in this capability. It is also great in surface attack- whether land or sea targets. It can accurately detect them and shoot then using a variety of air to surface missiles and laser guided bombs. It also can jam the radars directing incoming missiles using ‘spectra’ and therefore can penetrate deep into enemy territory to attack surface targets as the surface to air missiles of the enemy will find it difficult to detect the Rafale. 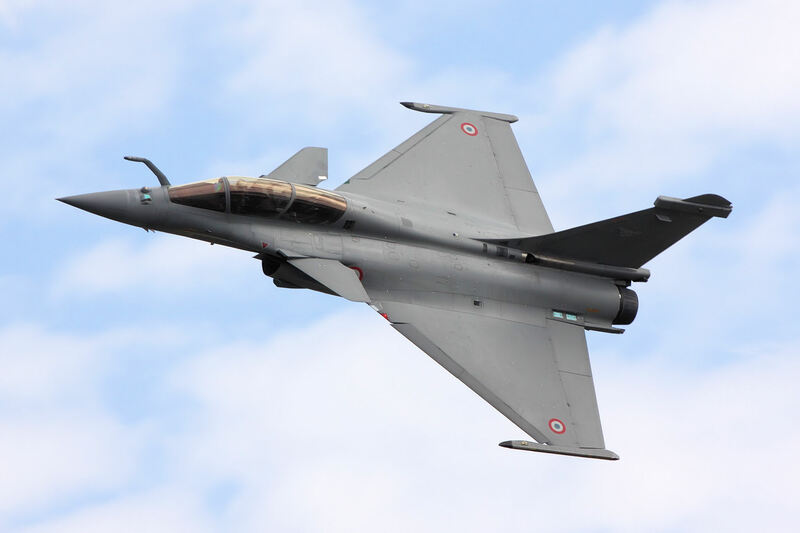 Also Rafale has considerable range because of it’s considerable internal fuel capacity and can fly long distances for deep penetration missions, a capability which is missing in the IAF’s fleet right now. This will help with deep penetration strikes within China in case of a war. In air to air combat however it is not the best. Both the Su-35, the Chinese version as well as Indian Su-30 MKI are better than Rafale. The speed of Rafale is less than these aircraft and the detection range of it’s radar is less too. But that does not mean the Rafale cannot fight air battles. It can match the Pakistani F-16 in air combat and outclass the less capable fighters of both Pakistan and China. So, a joint force of Rafale with air support from Su-30 MKI can be used for deep missions inside China. However, some questions remain unanswered. Will the ‘spectra’ electronic warfare system make the Rafale difficult to detect for aircraft like Su-30 and Su-35 and help it to close onto enemy aircraft and shoot despite its lesser speed and radar range? Or will the greater detection range of the Sukhois and their greater speed win? These questions can be solved only in actual combat.